Measure Your Waist at Navel Level to Get Your Correct Kilt Size. 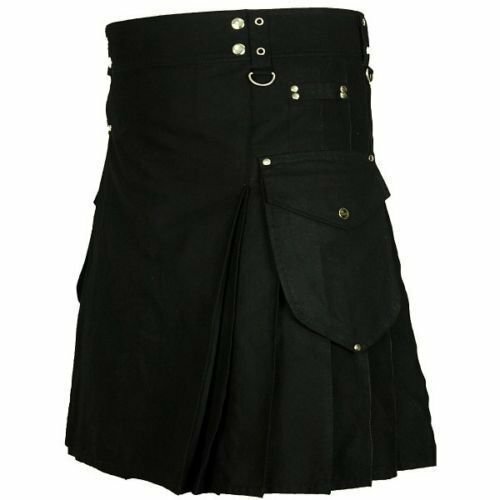 If You Are Between Sizes, the Kilt Belts Can Be Adjusted One Inch Bigger or Smaller. WE ACCEPT ALL PAYMENTS VIA PAYPAL. Refund is available when product is received back with all its packages and without damage. We have 2 modes of shipping to serve our customer best. The product is shipped within 3 days handling time and reaches the customer in 15 to 20 days. Product is shipped within 3 working days and reaches the customer in next 3 working days but costs more to the customer. a. Great prices for 100% quality items. b. Have a good variety of products at our store.